In Saudi Arabia, women aren’t allowed to drive, and cannot leave home without a male guardian. In Iran, gender segregation appears in workplaces and public events, and only 6% of parliament members are female. But third wave feminists in the States have bigger fish to fry – namely Wonder Woman’s armpit hair. Yes, this is a real thing. Following the release of the latest Wonder Woman movie trailer, a voice of outrage have risen on Twitter. 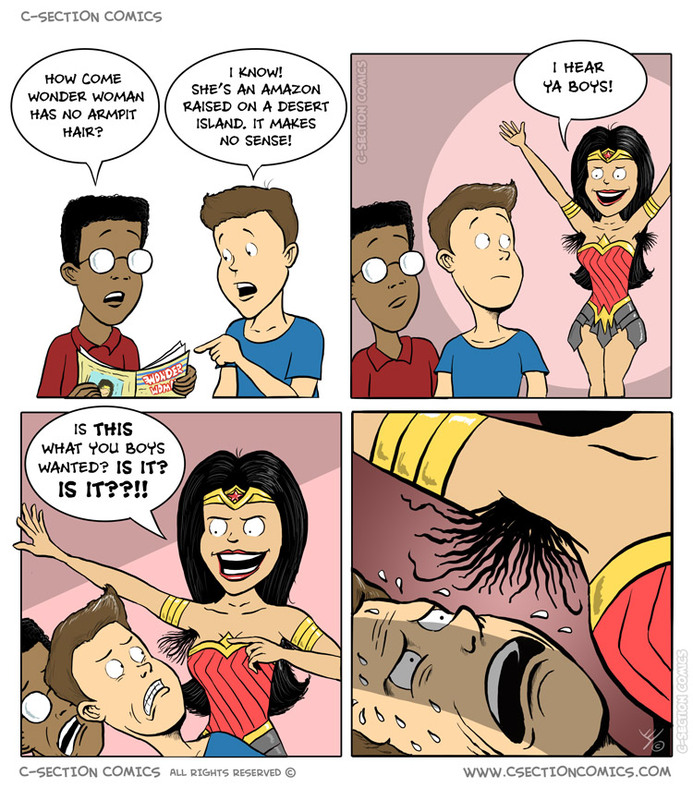 The SJWs are outraged by the clean-shaven armpits of the Amazon princess, played by actress Gal Gadot. 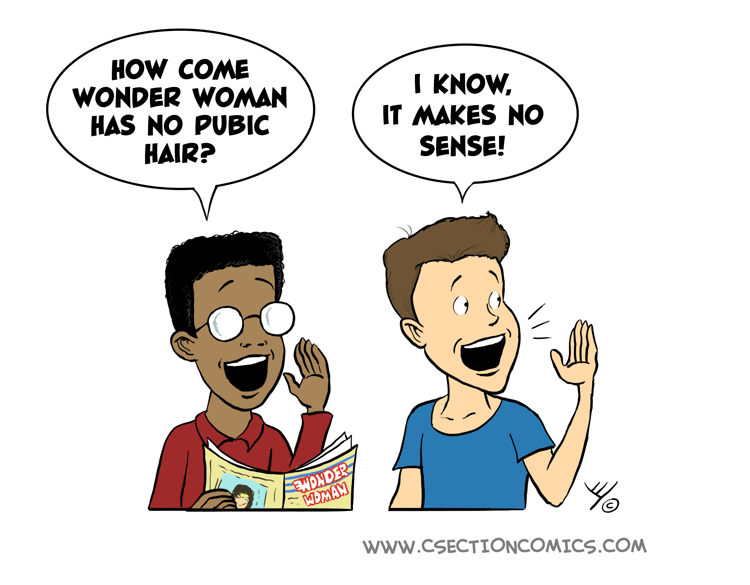 1) The fact that Wonder Woman’s armpit hair is missing is indeed totally unrealistic. 2) But so is the fact that she’s an Amazon Princess from the Paradise Island who rides an invisible plane and wields the magical lasso of truth. Here are some additional Wonder Woman cartoons, like the one where Wonder Woman marries Superman, or the one about the Evolution of Wonder Woman.